I see people from all over the world with atrial fibrillation, or as it’s affectionately known, AFIB. This heart condition is affecting millions of people and the incidence is on the rise. 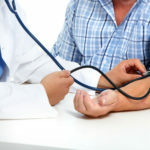 Blog posts on our site teach WHY you have atrial fibrillation and also the Foods to Eat if you have atrial fibrillation. The article is about your options with atrial fibrillation. I have covered blood thinners for atrial fibrillation in a previous post. In my world you have 3 different options for atrial fibrillation treatment. You can do all of them, none of them, or a combination. Like ALL health care decisions, the choice is yours, the educated patient. The days of the doctor-bully are over. This is the age of information. Drugs are the most common way that cardiologists treat atrial fibrillation. Pharma can be very effective, but also very dangerous. 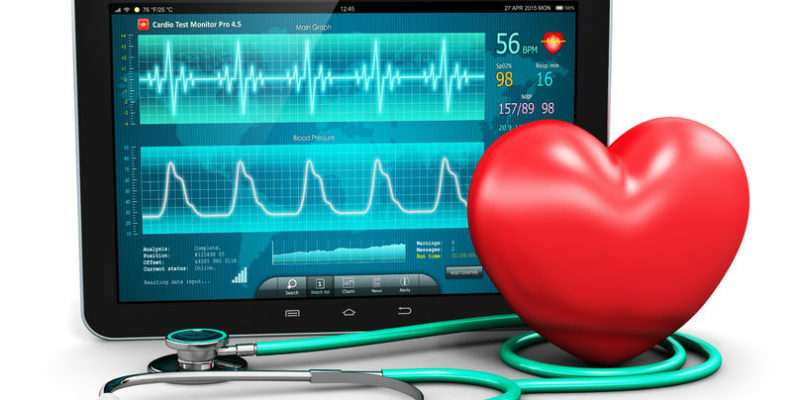 In the drug category are those that attempt to convert atrial fibrillation back to normal sinus rhythm, known as rhythm control, AND drugs used to control the heart rate in those with atrial fibrillation, known as rate control. The rhythm control drugs include names like amiodarone, flecainide, propafenone, and sotalol. Dofetilide is the newest of the bunch and requires a 3-day hospitalization to monitor your heart and make sure you don’t die. Sign me up, right? Amiodarone can be very toxic to your thyroid, liver, and other organs. My choice in this group is flecainide if I HAD to use one. Rate control includes Beta-blockers like metoprolol and atenolol, calcium-channel blockers like verapamil and diltiazem, and digoxin. These all have side effects, but not as dangerous as the rhythm drugs. Over the last 20 years, methods to “burn” out the atrial fibrillation have been developed. This can be done by a surgeon during open heart surgery OR more commonly, by a specialized cardiologist known as an electrophysiologist. In the above picture, you can see the areas of the atria that cause problems leading to AFIB. Two different types of ablation are possible. Hot ablation or cold cryoablation. They are equally effective at about 70% of the time in studies done on healthy, middle-age white men with paroxysmal atrial fibrillation. That means rhythm was back and forth to normal. This group has the highest success rates. 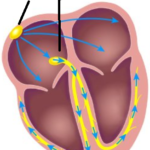 The following picture depicts what is done in cryoablation. Complications occur up to 6% of the time including puncturing the heart and even death. Additionally, the procedure requires a large amount of radiation, so the cardiologist can see where they are going. My opinion is to save ablation as a last option. Sometimes a cardioversion is done to shock the heart back to normal. Finally, if you choose an ablation, you will have the best chance of success if you are at your healthiest. Living the lifestyle recommended in my book and getting the best blood testing in the world as recommended in my book is critical to your success. Come out to AZ and let’s talk about it. We can also have a phone call to discuss. There is a reason you have atrial fibrillation. Lack of drugs or ablations is not a reason. Reasons for AFIB are many and covered in other posts on my site. Get sunshine to your chest often. The energy from the sun comes into the chest/heart and makes stuff happen. Specifically, sunshine charges the mitochondria and helps produce energy. The sun lowers inflammation. The sun creates vitamin D, a hormone linked with lower risk of atrial fibrillation and lower risk of stroke. Sleep with the sundown. Sleep is the time for recovery and repair to the body. As the body repairs itself during sleep, inflammation will decrease. Also, when you are sleeping, that means you are not awake in the artificial light. Light at night = AFIB. Avoid stress. Mental health is linked to heart disease and also inflammation. Again, inflammation is linked to afib. Eat organic foods high in fat like seafood, avocado, nuts and seeds. Quality fats lead to excellent cell membrane function. The better your cells function, the better you live, with or without AFIB. Organic ensures limited pesticide exposure. This is good. Remove all chemicals from your house. Chemicals from laundry products and personal care products and everything else in the house inflame the body and interfere with normal function. See your chiropractor and get adjusted. 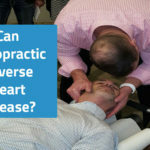 Read this post on why chiropractic is important for AFIB treatment. Escape from electronics, cell phones, and other EMF devices. Your heart is electrical and atrial fibrillation is an electrical problem. Avoid electronics whenever possible, especially at night. Stay active. Yoga prevents atrial fibrillation and slows it down if AFIB persists. Get tested. You need the Vibrant Micronutrient panel and the Wheat Zoomer. The micronutrient test looks at intracellular vitamins, minerals, Co Q 10 and glutathione. We can correct those deficiencies AND help you recover. The Wheat Zoomer looks at leaky gut. 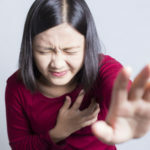 Leaky gut leads to autoimmune attack on the heart. Reverse leaky gut and reap the benefits, including getting rid of AFIB. Get tested today. Evidence-based supplements like magnesium, potassium, omega-3, beetroot powder, and taurine powder. I also love berberine and curcumin for these folks. More supplements may be recommended after testing. Here is a link to my video on atrial fibrillation and natural supplements . Berberine and curcumin lower inflammation and turn on necessary cellular enzymes to keep your heart in great shape. Curcu Gold 1 cap 2x per day. All the above with food. Don’t forget to take your MULTI as well, 2 caps 2x per day. There is a better way. Even if you opt for drugs and/or surgery, upgrade yourself with the above recommendations so you have the best chance of success with the least chance of side effects. Finally, if you want the best in holistic heart care, you are always welcome to come out to Arizona or schedule a phone conversation with Dr. Wolfson or his team.